We started Easter 2016 with a visit at the restaurant ”P.M och Vänner” in Växjö with their Great Menu and Great Wine Menu. Their Great Wine Menu was the best we have had in around 100 visits in Guide Michelin star restaurants around the world. Even their Menu was quite good and the restaurant is worth a travel to visit. At home on Good Friday we started with champagne of course. This day it was Salon vintage 1988. This was followed by wild tureen with red onion marmalade. The wines were 1979 Chardonnay from St. Clement in Napa and Dom. de Chevalier Blanc from 2008 in Grave. After that we enjoyed filled partridges and wigeons accompanied by some wonderful wines such as La Tache’ 1984, Ch. Haut-Brion 1984 and a marvelous Ch. Latour 1953. 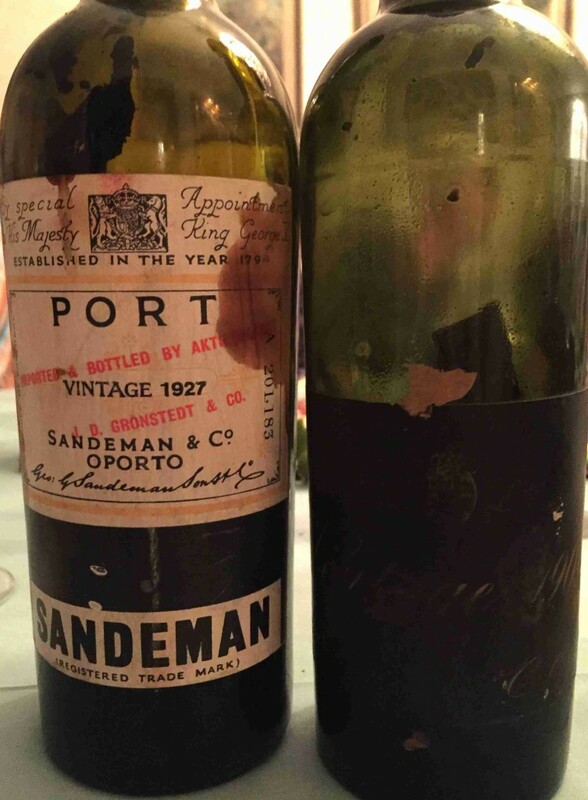 This was followed by a truffle cake with Sandeman’s vintage Port from 1927 and 1908 which both were on the top with the meal and even without any meal. Just Heaven! 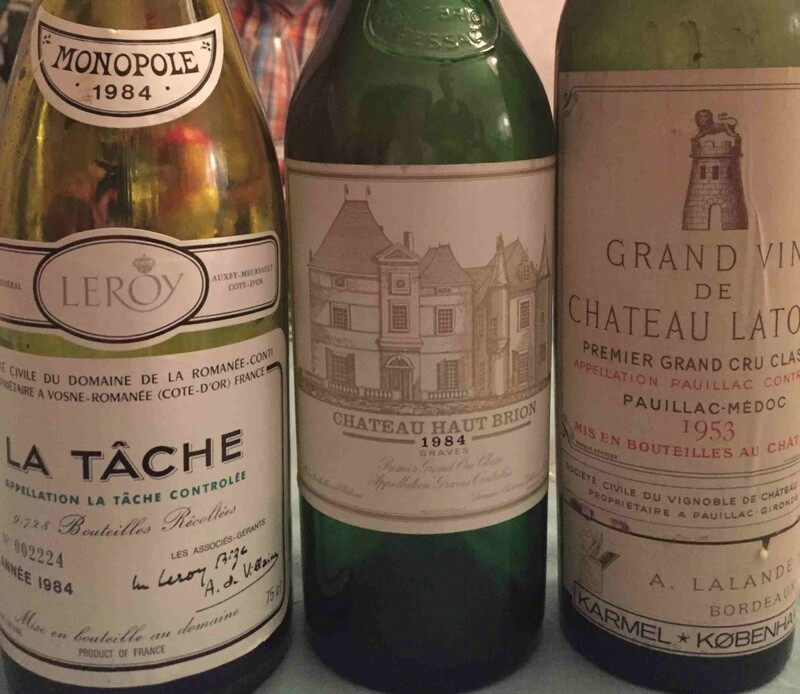 After a new Salon, this time it was vintage 1996, Easter Evening started with three minor starters i.e. yellow gazpacho, duck liver pâté and onion pie with salmon to which we drank Vendage 25 Octobre 1990 Sancerre from Lucien Crochet and Ch. Grillet 1985 from Rhone. To the lamb we had Petrus 1973 and 1969. The 1973 was astonishing and a great surprise indeed for all of us and the 1969 very good also but not as great as the 1973. As dessert we had white chocolate ice-cream with Eitelsbacher Karthäufer Hofberger auslese 1959 from Ruwer and Ch. dÝquem from 1977 which closed our Easter celebration. This entry was posted in Dinner and tagged 1908, 1927, Petrus, Salon, Sandeman on April 17, 2016 by Stefan. A new Port Wine book “Das Douro-Tal” (ISBN: 9783739215143) written by Christopher Pfaff. 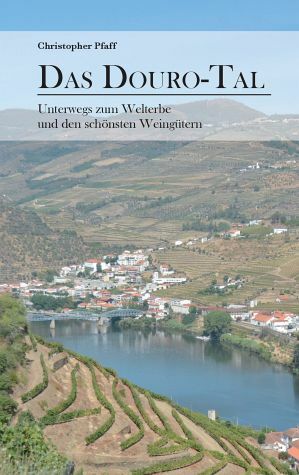 The book is a nearly 200 pages tourist travel guide about the Douro valley (sorry only in German language) with several colour photos. Of course all major Port Quintas, most of the Quintas who can be visited by tourists and Quintas where an overnight stay for tourists is possible are included. Moreover the guides include information about sightseeing and recommended restaurants and hotels. This is the first German book about this region ever. The price in Germany for the book is 13.99 € and it is also available in international markets like US and UK. This entry was posted in News and tagged Christopher Pfaff, Port Wine Book on April 13, 2016 by Stefan. 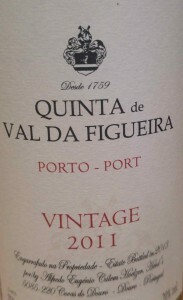 In week 14th it has been announced that Graham will honor Queen Elizabeth II’s 90th birthday with a special Port Wine. The wine is a blend of 40% tawny from 1935, 20% of a tawny from 1824 and 40% of a tawny from 1912 which means an average aged of 90 years, i.e. the same age as the Queen in 2016. The Queen is one of the greatest ambassadors for Port in the world as she always in every official dinner at Windsor Castle and at Buckingham Palace will serve Port with the dessert. There has been some problem with these bottles as the wines are neither colheita nor tawnies according to the law. Only one of the years has the Port Wines Institute’s registration and that is the 1935 due to the Port Wines Institute’s legalization was not until 1933. Symington, who own Graham, has got a special authorization to offer the wines to the market. The prices will be around 700 pounds+ shipping. This entry was posted in News and tagged Graham, Queen Elisabeth II on April 5, 2016 by Stefan.